Launch is... not at all what I set out to make. Game Dev turns out to be full of surprises. 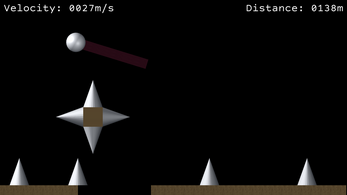 It's an arcade-style game about going as far as possible, by carefully manipulating your ball around obstacles. Tilt to move, and shake to jump. 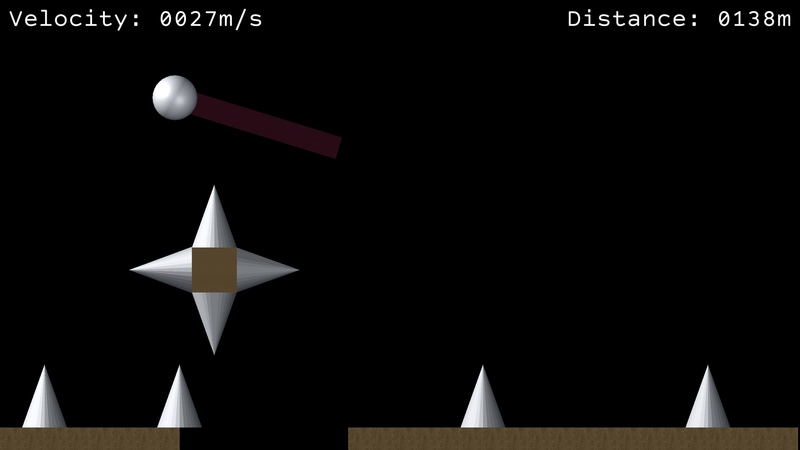 Drag your finger on the screen to launch your ball in any direction. Launch was designed from it's heart to run on mobile, with basic, versatile input. The core control is the drag, which locks the ball, giving the player their only chance to slow down, and analyze the puzzles, and also the maneuverability to navigate the tight layout. It controls speed, direction, and pacing with only one input. Some assets were from the Asset Store. - Music was taken from the Space Shooter Tutorial. Literally just me. Although some credit is definitely due to my very patient wife. This Game Jam has been an absolute delight. I'm a full-time web developer who has just fallen in love with everything Mark Brown has released. I've even gone and watched loads of hours of GDC talks, once I caught up on all of your videos. In the last two weeks, I've gone ahead and thrown myself headlong at Unity, and alongside everything else in my life, managed to build a game I'm pretty proud of. It was actually originally intended to be this really fast-paced roguelike platformer, where everything pushed you forward, but I tweaked the hazard generation too aggressively, and then found myself wasting twenty minutes playing this strange puzzle-arcade game (Although it doesn't quite fit the theme as well as my original idea). So I tweaked the values a bit more, and here we are! I really hope you enjoy the game, even though I'm certain you won't enjoy playing it as much as I did making it. Available on Google Play here. The android apk is an optional download, in case the app isn't rolled out to your country yet, or you'd like to install the initial release at some future date. If you don't know how to install an apk, here's a simple guide.